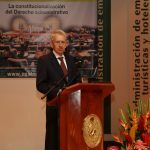 The well-publicized disciplinary decision against the mayor of Bogotá Gustavo Petro proffered by the Procurator General of the Nation, which includes a sanction of destitution and suspension for 15 years, has prompted questions over the proportionality of the decision. This has highlighted the importance of stimulating reflections from academia on the principle of proportionality and its application in administrative law in general. The discussion is about the normative basis of the principle of proportionality.. When abstracted, the principle of proportionality of each fundamental right, considered individually, remains sufficiently eloquent and revealing to be considered an independent principle. There are some arguments for considering the principle of proportionality as a general principle of fundamental law. The Code of Administrative Procedure and Administrative Disputes (CPACA) establishes the principle of proportionality in Article 44 as “to the extent that the contents of a decision of general or particular character are discretional, they should be appropriate for the purposes of the rule that authorizes it, and proportional to the facts that give it cause.” This normative ruling reproduces in its contents the text of the repealed Article 36 of the Code of Administrative Disputes, in force since 1984. In this blog, in a summarized form and merely for descriptive purposes, we will understand the principle of proportionality as consisting of three sub-principles, according to which certain state actions must be suitable, necessary and proportionate in the strict sense with respect to its purposes. 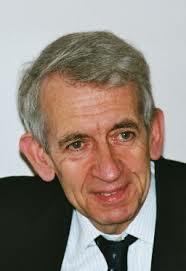 The sub-principle of suitability is formulated using the following rule: In the case that fundamental rights and / or collective rights conflict and the chosen method is unable to promote the end sought by the measure, then the intended measure is not suitable, and therefore, it is disproportionate. In the event that it is concluded that the measure is suitable, the necessariness and proportionality in a strict sense can be analyzed. In turn, the sub-principle of necessariness is stated by the following rule: In the case that another alternative method exists that, compared to the chosen method, encourages likewise the end sought and affects the fundamental rights and / or collective rights in conflict less, then the implemented measure is disproportionate. If the implemented measure is necessary, it can be examined in accordance with the sub-principle of proportionality in the strict sense. The sub-principle of strict proportionality also has the character of a rule, but unlike the other two aforementioned sub-principles of suitability and necessariness, this one is much weaker, primarily because it is not easy to formulate general criterion for comparison. The sub-principle of strict proportionality involves a weighing procedure between the reasons that speak against the implementation of the measure and the reasons that speak in favor of it. Thus, this sub-principle can be expressed using the following rule: When the method is suitable and necessary and the intervention in the fundamental right is in disproportionate relation with the aim, the measure is NOT proportionate. Otherwise, it is proportionate. The intervention in the fundamental right is clearly disproportionate when the intensity of the intervention of the measurement is high and there is no one argument that justifies it. The intervention is clearly proportionate when its intensity is weak and it can be justified with relevant arguments. Difficult cases arise when the measures are neither clearly disproportionate nor clearly proportionate. The functions of the principle of proportionality have been recognized by the State Council, for example, in judgments of the 29th of November 2006 and the 12th of November 2008. In the latest judgment, the State Council ruled, on a principle of proportionality, on the competence of a judge to set the reduction of an imposed penalty clause due to the failure of a contractor to comply. There, the State Council considered that the principle of proportionality served as “(…) a criterion of action, that is, as the basis of the actions of the various organs of the State, which is made with its observance and implementation to each specific case (…) ” and as a control parameter for administrative decisions. In this blog, the first aspect will be discussed – the principle of proportionality as a determinant of the administrative action – leaving the examination of the second subject for a later publication. If one accepts that the administrative procedure is a process of realization of state goals in the social reality, and if it is clear that all state activity is performed by human beings and is ultimately based on decision-making, we can infer that the forms of justification of all administrative activity always involve a decision. The administrative procedure is a process of materialization of State objectives through the making of decisions. Therefore the decision, understood as a process and as a result of decision-making processes, is the fundamental structure of the administrative law system. The administrative decision consists of an endless process (partly rational) of permanent choice between alternatives, in which the alternatives are reduced using comparison parameters, including the optimal scope of the purpose and principle of proportionality, among others. For example, in the decision to implement an urban penalty, established in Article 104 of Law 388 of 1997, the competent administrative authority on urban law has different decision alternatives ranging from the successive application of fines, up to the total or partial demolition of the works carried out without a license. The reduction of these alternatives involves taking the principle of proportionality as a decision parameter. This means that the administrative authority recognizes that the demolition order for works without the proper building permit, within the meaning of Section 103 of Act 388 of 1997, may constitute an intervention in a right protected by the Constitution, for example, a violation of the property right, guaranteed in Article 58 of the Constitution. By confronting the end of the measure (the preservation of legality in urban law) with the chosen means (the demolition of the unlicensed works), according to the sub-principle of necessariness, the authority may conclude that although the chosen means is suitable, because it encourages the achievement of the end sought, it is also disproportionate, because there are other alternatives, such as successive fines, which in comparison with the choice of the demolition of the works, likewise encourage the end sought but affect to a lesser degree the conflicting rights. 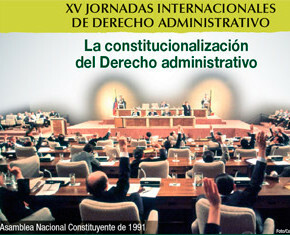 The sub-principle of necessariness in the principle of proportionality, consisting of choosing the least burdensome measure for the rights in conflict, serves as a parameter that reduces the alternatives that the authorities on urban law have to implement sanctions and in general, as a determinant of administrative actions. Now these premises around the basis, structure and function of the principle of proportionality as a determinant of administrative action have been set, I want to return to the case of the disciplinary penalty imposed on Mayor Petro that consists of an inability to hold public office for 15 years to raise the following questions: If it is clear that the principle of proportionality is a determinant of administrative law which is applied in administrative law penalties, as established in Article 18 of the Single Disciplinary Code, do you consider that the Procurator General reduced his possible decision alternatives, by adjusting the disciplinary sanction accordingly with the misconduct, taking into account as a parameter the principle of proportionality? Was the Procurator General guided in his decision by the principle of proportionality? The debate for which this paper provides some elements of judgment is open. In the event that Mayor Petro submits an action for annulment and re-establishment before the administrative jurisdiction, it will be this jurisdiction that shall include the principle of proportionality as a control parameter to determine the legality of the disciplinary decision of the Procurator. Walter Krebs, Zur verfassungsrechtlichen Verortung und Anwendung des Übermassverbotes. En: jura 2001, p. 233. Cfr. Laura Clérico. Die Struktur der Verhältnismässikeit. Nomos Verlagsgesellschaft, Baden-Baden, 2001, p. 26. Las reglas mediante la cual se expresan los mandatos de idoneidad y de necesariedad son precisadas y complementadas por Clérico, op. Cit., pp. 26 ss. Walter Krebs, Kontrolle in staatlichen Entscheidungsprozessen. C. F. Müller Juristischer Verlag, Heidelberg, 1984, p. 27 s.
 Walter Krebs, Kontrolle in staatlichen Entscheidungsprozessen, op. Cit. p. 32 ss.